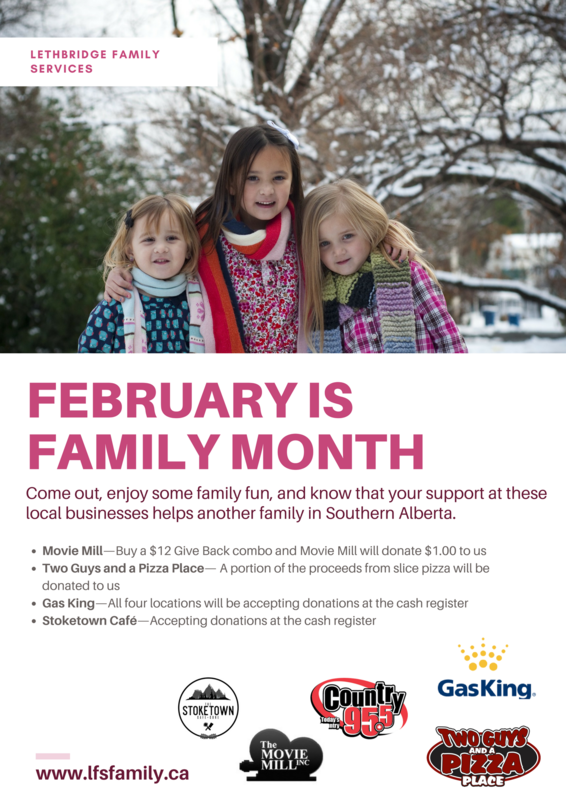 Lethbridge – January 31, 2017– All of February, Lethbridge Family Services (LFS), joined by key partners, is celebrating Family Month. As such, key partners will raise funds for LFS programs and services. The annual campaign is an opportunity for families to spend some extra time with their loved ones. As an organization that supports families, LFS applauds this initiative, which they believe will fortify family connections and build community. Operating since 1910, Lethbridge Family Services is a highly accredited, charitable agency with 370+ staff. 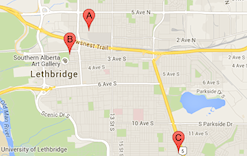 LFS is the largest private community social and health services organization in Lethbridge and southwestern Alberta. LFS assists nearly 7,000 individuals annually to improve their quality of life with the support of its four key Departments: Home Support Services, Immigrant Services, Counselling/Outreach/Education, and DaCapo Disability Services. “We are honored to be in the service of those who reach out to us during some of the most vulnerable points in their lives, allowing LFS to help them tap into their greatest strengths”, said Sandra Mintz (CEO, Lethbridge Family Services).